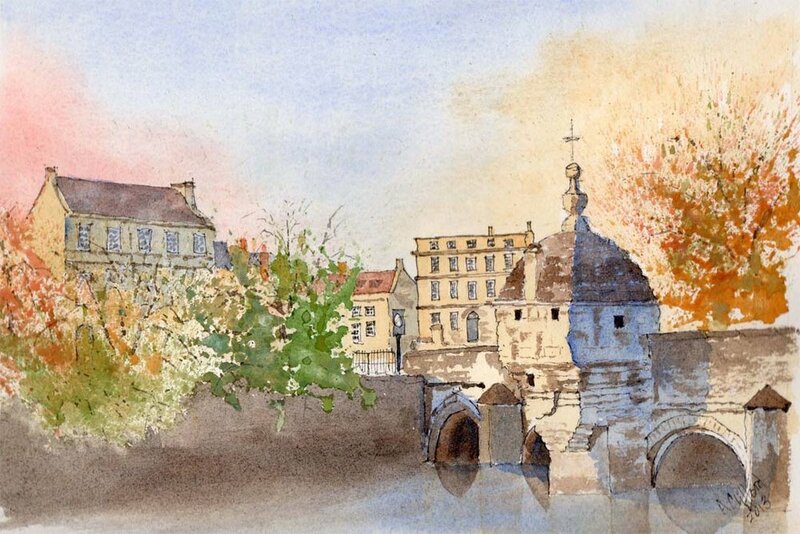 Allan, a resident of Bradford on Avon for thirty five years, retired early from a career in engineering to focus on his interest in watercolour painting which had hitherto been relegated in priority due to work and family life. Whilst much early focus was on the capture of scenes rapidly disappearing from the iron and steel industry Allan became increasingly inspired by the colours and form to be found in the architecture of Bradford on Avon and environs. His work has proved very popular to both locals and visitors through a range of original paintings, prints, cards and fridge magnets.